‘Funnily Enough, the true story’ ~ living with tame otters in the Cotswolds. ‘Ride the Wings of Morning’ ~ on working on horse safaris in Southern Africa. ‘Riding across South America on a horse’ and other great rides. ‘China’s Bestseller’ ~ on printing the Bible in China and the work of Bible Society. ‘The Waterberg Trust’ ~ a charity supporting rural people in S.Africa. ‘The Old Longbow’ ~ the romance of the traditional longbow. Q&A from Sophie Neville at the Riverside Cinema in Woodbridge, Suffolk after a screening of Swallows & Amazons. An illustrated talk on ‘The Secrets of filming Coot Club and The Big Six‘ in East Anglia. 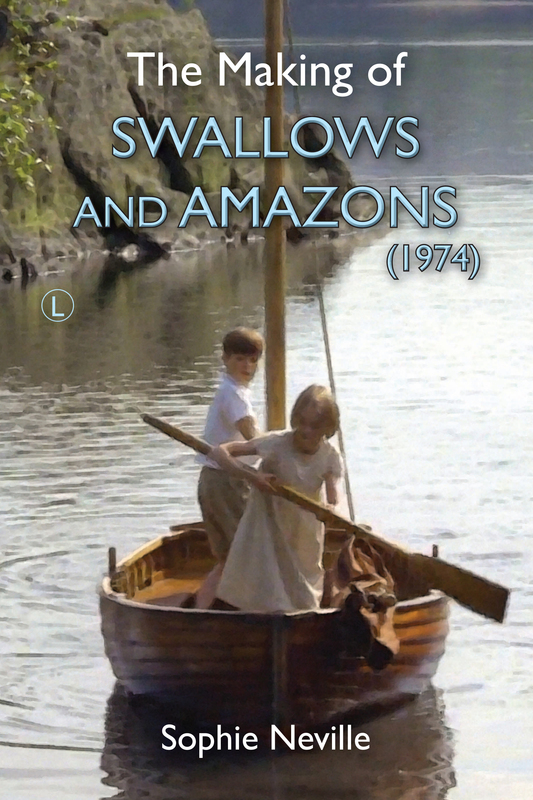 An Illustrated talk on ‘Swallows & Amazons’, the film locations’ for the The Arthur Ransome Society in Scotland. 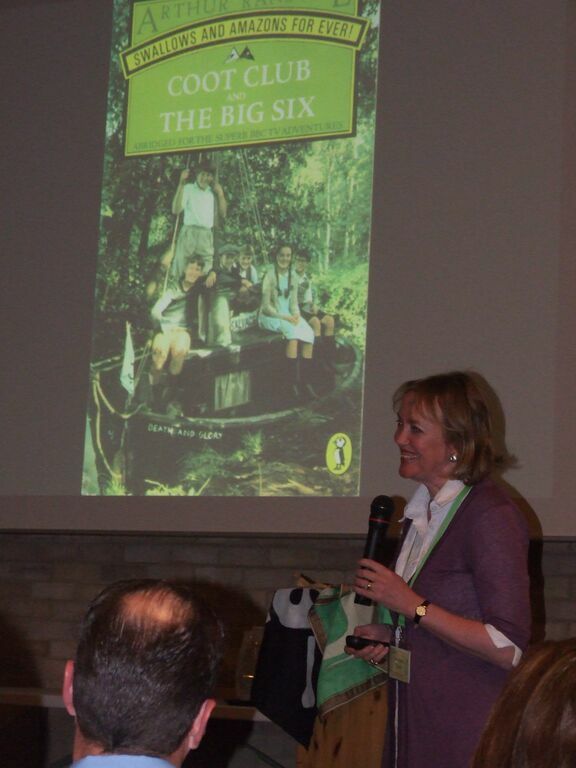 An illustrated talk on Swallows & Amazons at the Royal London Yacht Club in Cowes, Isle of Wight. 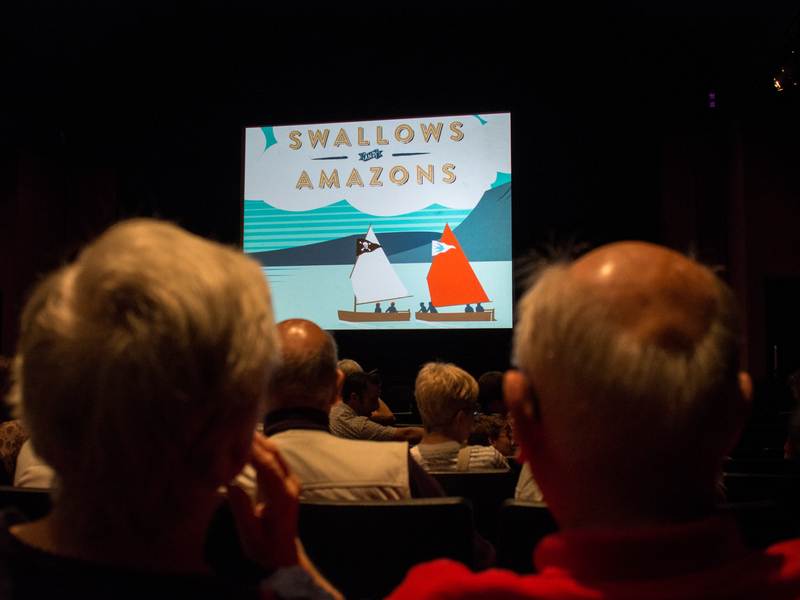 Swallows & Amazons was screened at the Brewery Arts Centre Cinema, Kendal with Q&A by Sophie Neville. Q&A after the 40th Anniversary screening of ‘Swallows & Amazons’ (U) at The Hackney PictureHouse, London. Introducing a 40th Anniversary screening of StudioCanal’s digitally restored version of Swallows & Amazons (U) at the Electric Cinema in Hastings as part of the Pirate Day celebrations. To book tickets for 2015 please click here. An illustrated talk on ‘Charts and Mapping’. Contact TARS for details of talks in 2015. 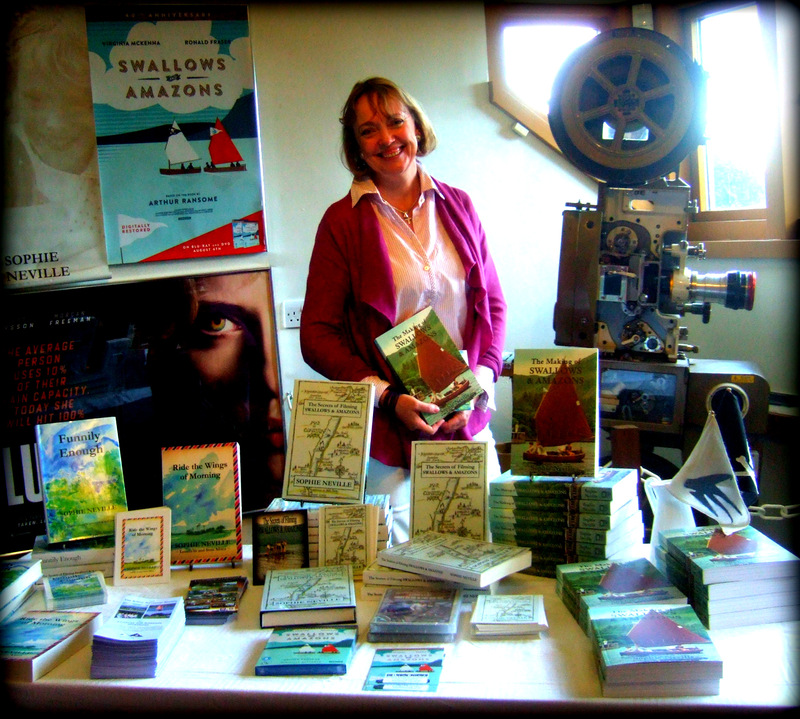 40th Anniversary talk on ‘Swallows & Amazons, the film locations’ ~ for The Arthur Ransome Society with The Arthur Ransome Trust. A talk at the Arthur Ransome weekend at Rydal Hall. 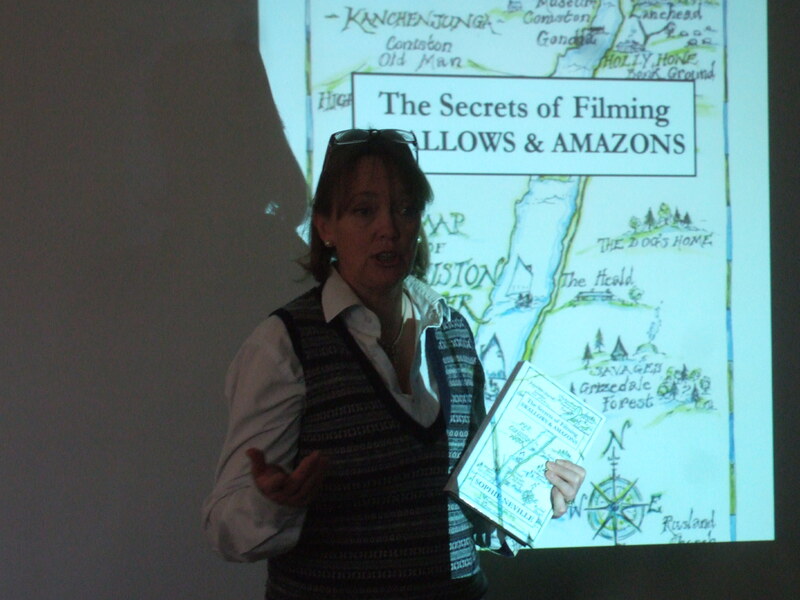 An illustrated talk on ‘The Secrets of Filming ‘Swallows & Amazons’ for TARS East in Suffolk. An introduction to Swallows & Amazons (1974) at the Royal Lymington Yacht Club. An illustrated talk for the Solent Section of the Cruising Association at The Mercury Marina on the Hamble. An illustrated talk for parents and pupils at Walhampton School. 30th Anniversary talk on BBC adaptations of ‘Coot Club’ and ‘The Big Six’ at the Royal Harwich Yacht Club. 40th Anniversary talk for The Arthur Ransome Society IAGM at Brockenhurst College in the New Forest. An illustrated talk at Orwell Park. An illustrated talk on the Bible Society in China and World Mission at Lymington Baptist Church . St Barnabus Church, Weeke, Winchester a talk for Bible Sunday and a talk with slides on China. St John’s Church, Nursling ~ an illustrated talk on China’s Best seller. A talk with DVD’s at Hordle Walhampton School on the Waterberg Welfare Society, who help rural people address the onslaught of HIV/AIDS in South Africa, where Sophie lived for twelve years. …they were often held outside ~ with no microphone, let alone a power-point presentation. My first ever talk in a Baptist church in Mozambique. It consisted of a plam fence around a large mango tree. Beenie the otter and Sophie Neville appearing on the front cover of the Daily Telegraph with HRH, the Prince of Wales. Over 120 people attended a superb Talk given by Sophie at The Royal Lymington Yacht Club on 20 March. The talk was hugely informative, not only about the filming of ‘Swallow and Amazons’, but also about film work in general. It was highly entertaining: many secrets were revealed! The audience was enchanted by the wonderful tales, photos and footage. Well done! Thank you so much for coming along! I had quite a few phone calls from people who couldn’t come but wanted to, and I know the Club had to turn others away, so we might be able to put on another sometime soon. I thought the screen, lighting and other electronic facilities at the club were great. If we do it again in this area I’ll make it a little different – perhaps less focused on how to shoot sailing scenes.